Come and discover how you create your reality and relationships through the way of communicating with yourself and others. Join us and find new ways how to authentically connect to one another, to share and to express your ideas and needs. 24 participants. 6 nationalities. 10 days of an intense personal development programme. Synergy method. Experienced international team of organisers. Are you in? 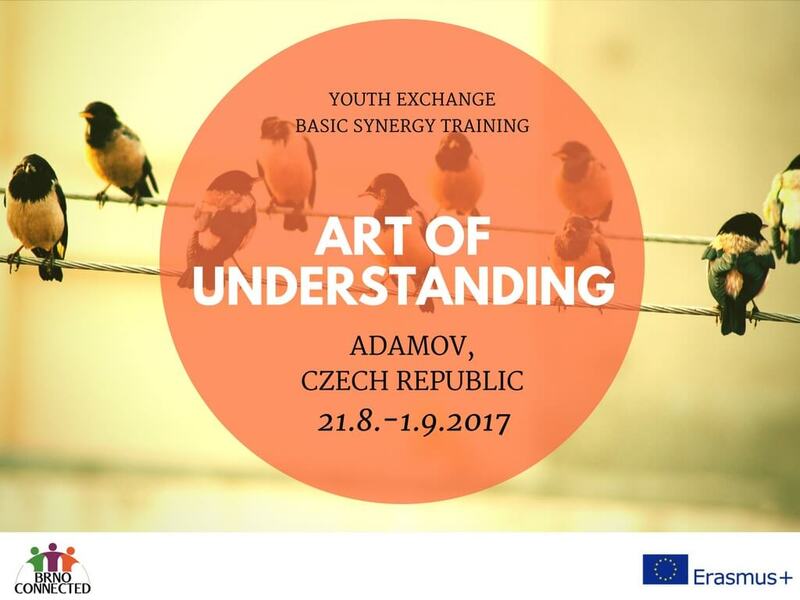 „Art of Understanding“ is a ten days international youth exchange focusing on the topic of communication and personal development. proactivity, create authentic relations with other and with yourself and discover your potential. It will also be about self-expression and cooperation with others, regardless of your cultural or social background. The project is funded from a grant of Erasmus+ programme, which means that food, accommodation, programme, materials and travel costs up to the given amount are covered. .